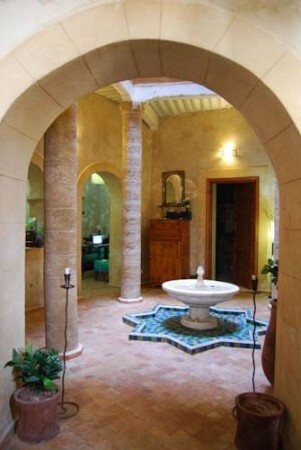 Riad Rose Des Vents other language? Good you have found the way to us. Our house dates from the 17th century and was last opened in 2008 as a guest house after extensive renovation work. The riad is in the medina of Essaouira on the edge of the Mellah, the Jewish quarter of this historic city on the Atlantic Ocean. Just a few steps and you can find in the souks and bazaars all to live and enjoy. Beach and parking are just a few minutes. Here you can simply feel good. Whether you want to relax for a few days, a meeting carried out in our premises, or simply want to spend a weekend for two: Our house offers a pleasant atmosphere, a wide range. Breakfast served and to order the finest Moroccan cuisine. A kitchen on the terrace, which can be used by our guests.